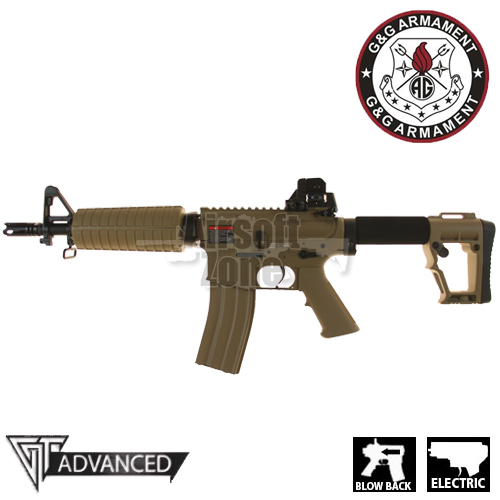 A standard G&G airsoft M4 is highly recommended for almost all skirmish environments and of course the model most commonly used for custom projects. This particular model, with its short barrel and SOCOM stock is a most capable CQB airsoft rifle straight out of the box, or an excellent starting point for building something special. For advice on custom projects, please feel free to give us a call or even better pop into our show room to discuss your needs.